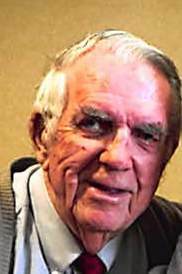 Fred W. Belz of Beecher, IL passed away November 28, 2018 in Olympia Fields, IL. He was born on November 17, 1929, the son of Frederick and Grace Belz. He is survived by his children Fred Belz, Jr. and Helen Heisner, and grandchildren Mark (Kate) Heisner and Andrew Heisner, all of Beecher. A sister-in-law, brother-in-law, nieces and nephews, as well as great nieces and nephews also survive. He was preceded in death by his parents, as well as his loving wife of 60 years, Helen, and a son-in-law, Calvin Heisner. Also preceding him in death were two brothers and a sister. Fred served our country in the United States Army, where he was stationed in Japan during the Korean War. In his working years he was president of Black Products; a metal and foundry supply company in Riverdale, IL. He was an active member of St. John Lutheran Church in Beecher, IL, where he served as an elder, voters assembly secretary and trustee. He sang in the choir for 46 years, and played dartball. Fred also compiled and edited the St. John Lutheran Church 150th anniversary book. His wide array of interests included gardening, baseball, coin collecting, the stock market and presidential history. Visitation will be held from 9:30 - 11:00 Saturday December 1, 2018 at St. John Lutheran Church in Beecher. Funeral services will also be conducted Saturday December 1, 2018 at 11:00 a.m. at St. John Lutheran Church. Rev. Joel Dietrich will officiate. Burial will be held at St. John Lutheran Cemetery. Memorials may be directed to St. John Lutheran Church.